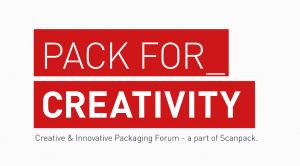 Creative Packaging Forum is an area at the fair where you as an exhibitor can showcase the latest innovations, materials and designs in packaging. In this area, the industry’s ”movers & shakers” and specialists gather to present their innovative packaging solutions in an area that reflects the future packaging solutions. email to: johan.samuelsson@svenskamassan.se format: vectorized file .ai, pdf or eps.